Thousands of fans spilled into the street last night around Wrigleyville as the Cubs won the National League Central Division yesterday after finally claiming the title to qualify for the post season play-off's. 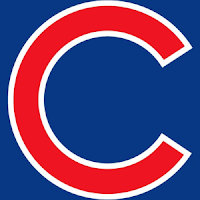 The Cubs will go into the play-offs as one of the weakest teams but they will be followed by some the countries most passionate baseball fans. The whole away support thing doesn't really happen in this vast country except when the Cubs are in town.